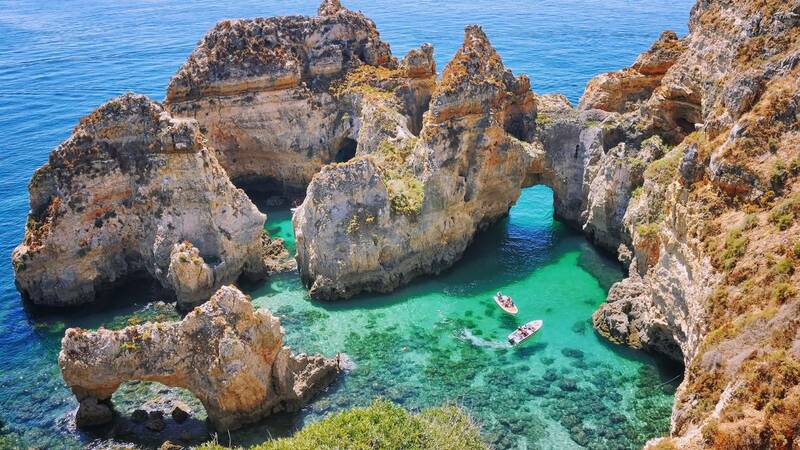 In the incredible Algarve region, south of Portugal, lies Lagos. The charming little town manages to balance its history and tradition in harmony with one of the most cosmopolitan places in the Algarve. 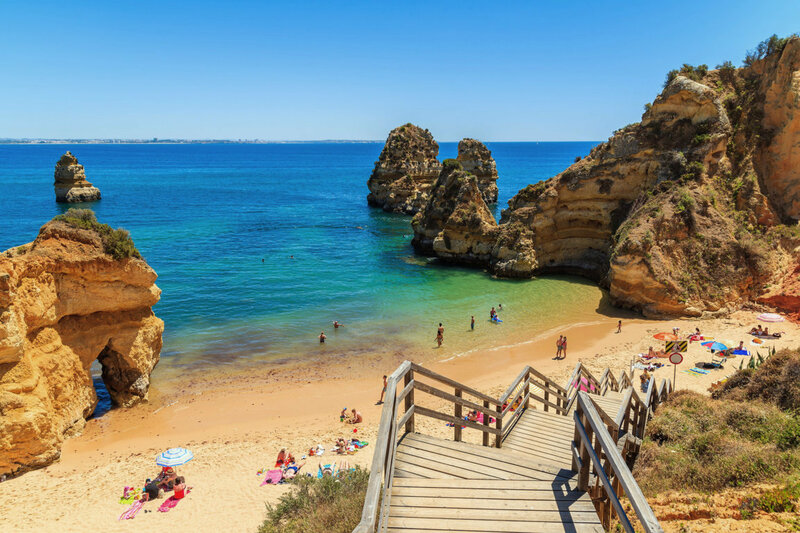 Lagos coast stands out for the grottos and rocks that adorn the sheltered beaches in the bay, making it one of the most diverse and sought after areas of the Algarve, for many reasons. Known as the golden coast due to the bright ochre tone of the cliffs, it’s a dazzling natural beauty. See our Top 8 Beaches in the gorgeous Lagos coast and make sure you visit each one this summer! The beach runs along the curve of the bay, stretching for more than four kilometers of fine, golden sand. It is ideal for family fun, offering all kinds of facilities for those who enjoy water sports and so on, such as windsurfing, water skiing, parasailing, sailing and beach volleyball. It has facilitated access to disabled, as well as beach supervision. Located between the belvedere of Chão Queimado and the Fort Ponta da Bandeira, just a few hundred meters from the historic center, the Batata Beach (Praia da Batata) is sheltered from the prevailing winds. It offers various leisure facilities, supervision and a very easy access. The Batata Beach also hosts the traditional beach party “Festa do Banho 29”, on the night of August 29. Located on a small rocky bay, the Pinhão Beach (Praia do Pinhão) is a beach of coarse sand is accessible via footpath from the beach of Dona Ana, which runs along the top of the cliff. The small beach is hidden between high cliffs and is ideal for those seeking a unique setting. Sheltered by rocky cliffs, the beach of Dona Ana (Praia Dona Ana) has coarse sand and clear blue-green waters. It is among the most beautiful in the entire Europe. Its marine fauna and grottos are worth viewing with the help of small boats of local fishermen, that you can find and book here at experitour.com. Access to the beach is via a staircase, and the beach has facilities and supervision. Where is the Beach of Dona Ana? On the left side on the road to the road to the lighthouse of Ponta da Piedade, at the viewpoint, the access to the Camilo beach (praia do Camilo) is made by a long newly built staircase, where you can get a breathtaking view. Down there, a beautiful small cove tucked away between brightly colored cliffs, offers calm clear waters, ideal for scuba diving. The Camilo beach also has good beach services and lifeguards. Where is the Camilo Beach? A beach with a long stretch of sand between high cliffs, where at their base one can find clay, said by locals to have medicinal properties. 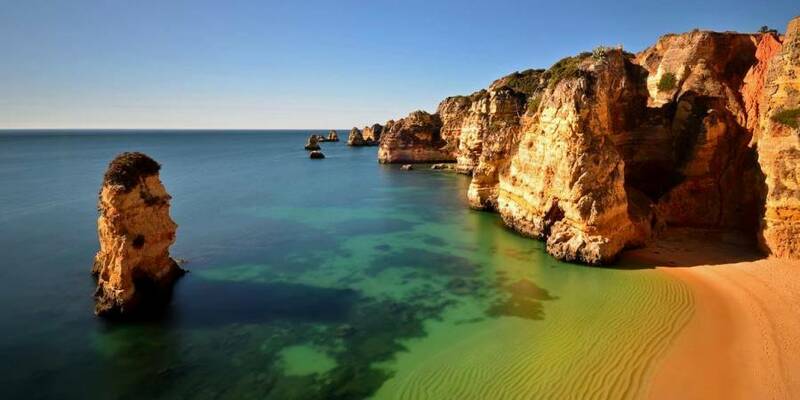 It is one of the most popular beaches in Portugal, and it keeps its natural, stunning features. There is access to the beach for the disabled, and good beach facilities and supervision, great for a family day at the beach. Where is Porto de Mós Beach? 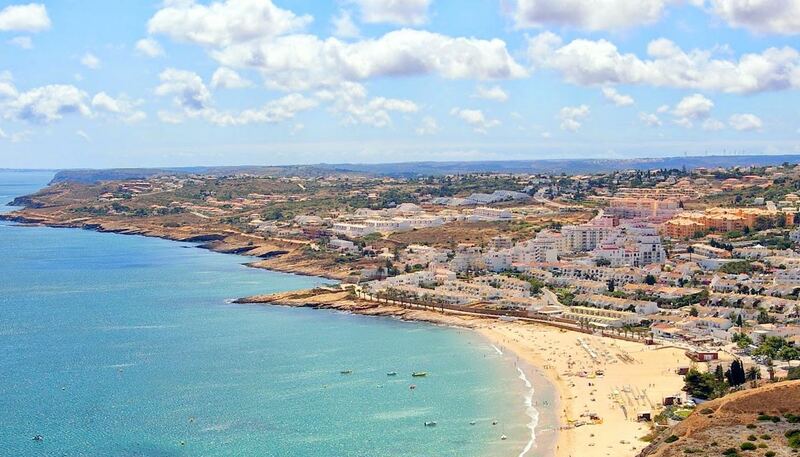 Framed by the cliff bearing a geodesic point and by the white houses of the former fishing village, the Praia da Luz, correctly translated to beach of light, has clean and transparent waters. It is divided between an area with fine white sand, and another with rocks. It contains beach supervision and other facilities, and has also access for the disabled. Where is the Luz Beach? 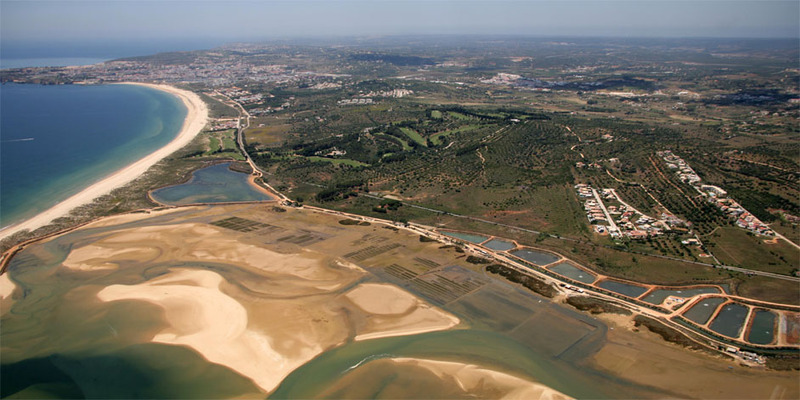 Between Odiáxere and Alvor, a complex estuary system is found, which includes dunes, beaches and agricultural land, semi-natural forest, pine forest and salt marshes. In addition, it houses species and habitats which are of ecological interest. On the banks of the Alvor estuary selfish are farmed, such as clams, oysters ans cockles, some of the specialties of the Portuguese gastronomy. Where is Vale da Lama Beach? 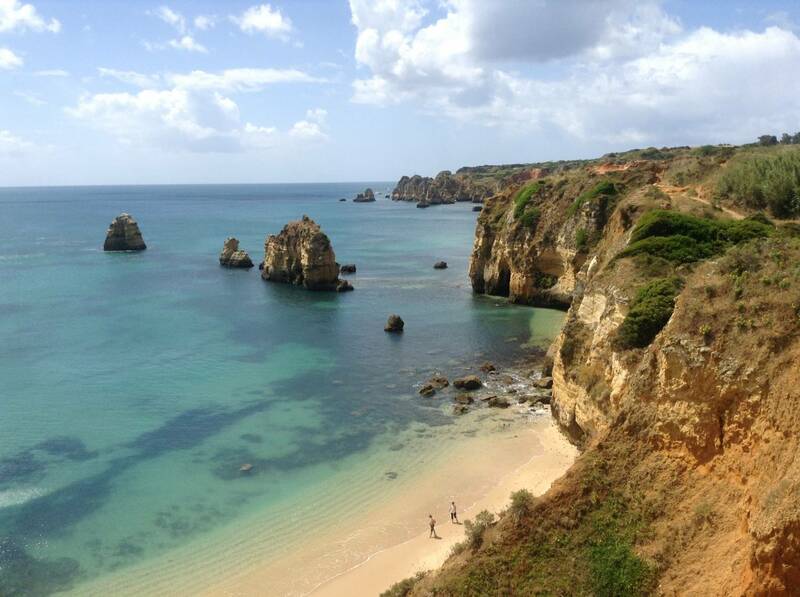 Besides enjoying the amazing beaches of Lagos, your visit will not be complete if you miss the sensational Ponta da Piedade. 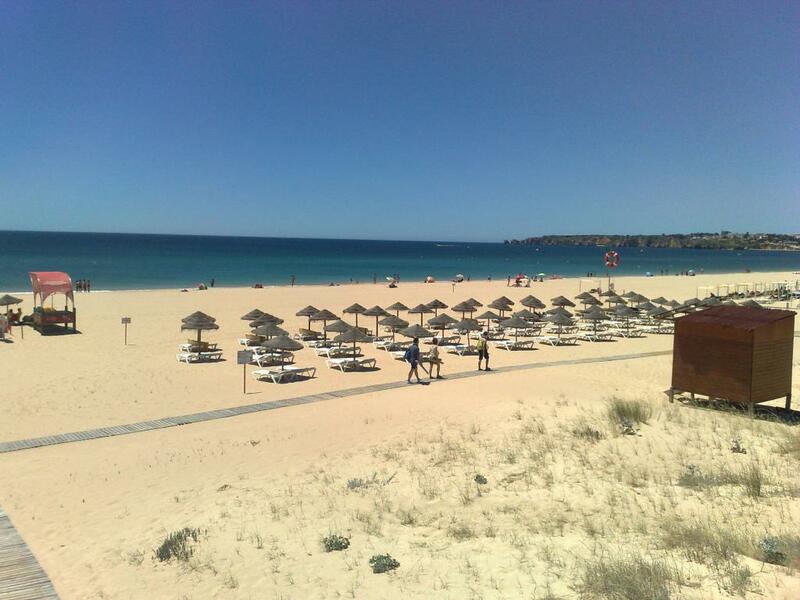 The best at last, here is the most impressive postal card of Algarve. 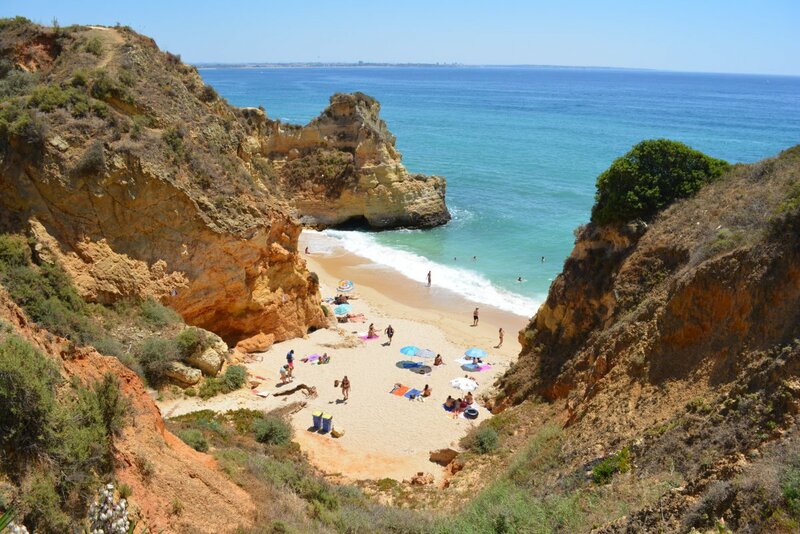 With the Atlantic at your feet, Ponta da Piedade is the ideal place to gaze over the clear waters that bathe our coast. Is is a magnificent scenery, and you can enjoy it from up the golden cliffs in trails, or in boat tours and water sports, such as kayaking or SUP. 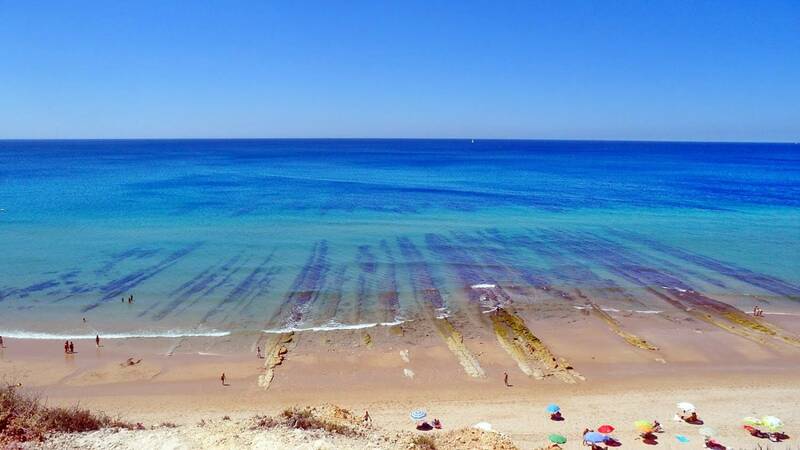 The Algarve is truly a passionate region, so make the most of your trip and check out all our experiences and tours in experitour.com in Lagos and plan ahead! Have a great trip, and will meet this summer in Lagos! algarvebeachlagosponta da piedade Post written by Letícia Melo. E essas praias são como nas fotos! Verdadeiramente bonitas! !